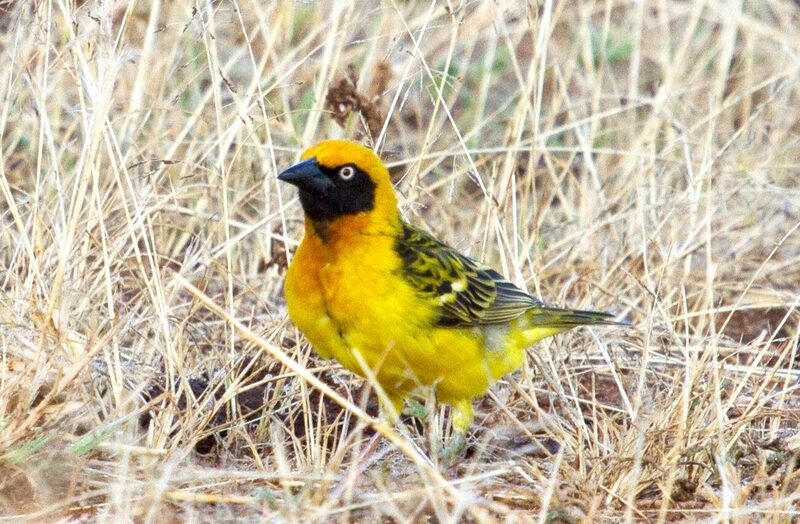 The rare Fox’s Weaver (Ploceus spekeoides) is Uganda’s only endemic bird. It is listed globally as a Near Threatened species. This bird’s preferred habitats are the papyrus-fringed lakes with nearby wooded grassland and seasonally flooded wetlands. These are common in the Eastern part of the country, including Lake Opeta, Bisina and sites towards Lira. There have been reliable sightings of several nesting pairs in May 2018 near Lake Bisina by tour guides on a mission to find this elusive bird. This could be a sign that numbers are on the increase, although scientists are still carrying out research. Many ornithologists and bird watchers in Uganda long to see the Fox’s Weaver. Looking for it is a challenge. You have to comb the wetlands and trudge through mud or floods – but when you find it, it is so rewarding!